Acrylic painting on stretched canvas. 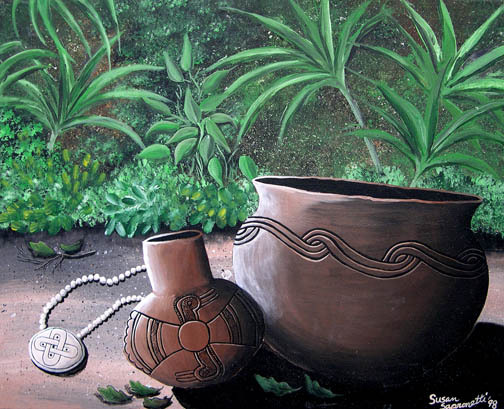 Depicts Southeastern Indian style pottery in a lush setting. Look for more pottery paintings from Susan.